Robert R. Martin and other presidents watch as Governor Breathitt signs bill. Edward T. Breathitt Jr. (seated), Robert R. Martin (third from left). 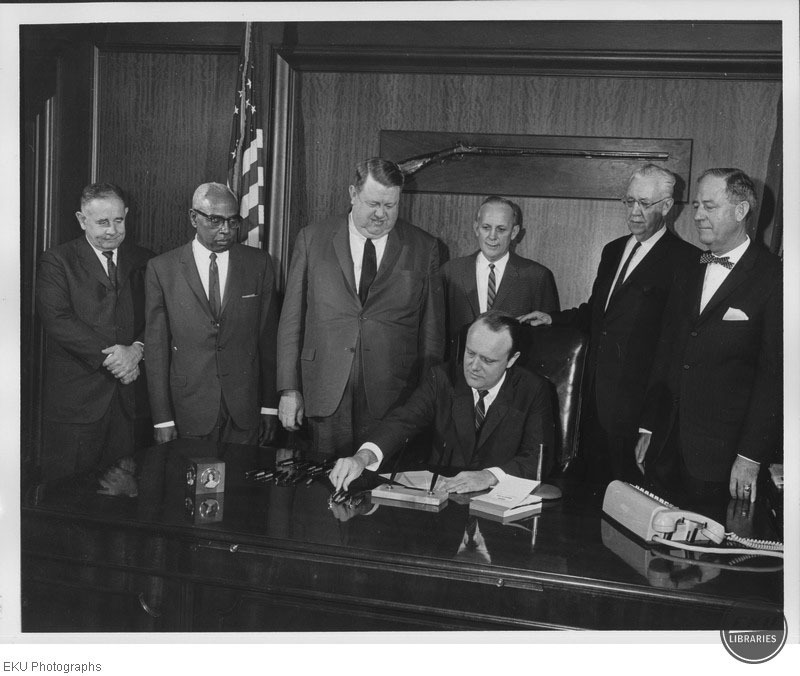 “Signing the University Status Bill,” Digital Collections, accessed April 18, 2019, https://digitalcollections.eku.edu/items/show/30058.